As the clamor for greater inclusion in the workplace continues to permeate, thousands of companies across the country including many here in the metro New York and New Jersey area are trying to figure out how to create a work environment that embraces and highlights the differences people bring to the office. Implementing policies that appeal to an eclectic mix of people is the niche motivational speaker Tayo Rockson targets. ?Nowadays, people don’t want to understand or listen to what others have to say,? he says. ?People react to changes out of fear and anger and not love and understanding.? A native of Nigeria, Rockson’s father was a diplomat and traveled extensively. By the time he was a college freshmen, Rockson had lived in five countries on four continents–Sweden, Burkina Faso, Vietnam and the U.S. He earned an undergraduate degree in business from Liberty University in Virginia and an MBA from Fordham University in New York. He is the president and CEO of UYD Management, a company he started in 2017. The company provides strategic consulting services to corporations with a niche focus on incorporating workplace diplomacy between cultures. ?As the son of a diplomat, I found myself always in between cultures having to find different ways to fit in,? he says. ?I learned how to turn my identity crisis into a gift for understanding people who come from different backgrounds.? 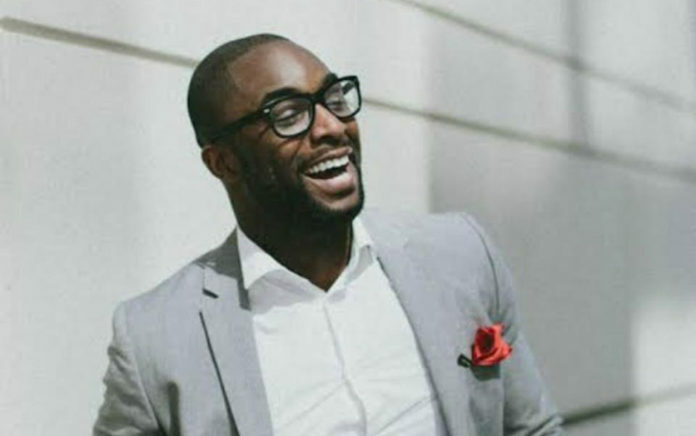 Rockson says he has always been fascinated and curious about how individuals who can tailor personal idiosyncrasies in order to lead a diverse and broad-based work environment. As the author of numerous business and diversity based articles and the host of a globally popular podcast?As Told by Nomads with Tayo Rockson, Rockson was named as one of the up and coming leaders to watch in 2018 by a leading millennial lifestyles magazine. He says having an international flair is the key to becoming an effective and inclusive leader. ?Migration patterns influence how we do business and with whom,? he says. ?Inclusive leaders must articulate their mission so others aspire to be included in that mission.? According to a survey conducted in 2011 for the Society for Human Resource Management, more than half of senior executives said they expected workers to have more diverse backgrounds and experience in the future. Fast forward to 2016 and the nation’s major workplaces were comprised of about 35 percent women and people of color combined, created by an upward trend in diversity and inclusion efforts, according to data from the U.S, Department of Labor. Additionally, 97% of U.S. companies currently fail to have senior leadership teams that reflect the country’s ethnic labor pool. ?Diversity is about learning from others and about creating environments and practices that maximize personal and organization performance,? Rockson says. For example, when trying to resolve an issue and take action and dealing with viewpoints from employees with varied backgrounds, different strategies apply to different situations. ?A common strategy is to have a philosophy with employees that when you’re at work, it’s the work culture that matters,? he says. Lastly, Rockson says catering to the needs and interests of millennials is essential to fostering a multi-chromatic workforce. By 2020, the millennial generation will compile nearly half of the U.S. workforce, according to various statistics. Born between the early 1980s and the early 2000s, Rockson says these young leaders and progressive professionals who have little tolerance for a colorless work culture. ?Millennials are drawn to organizations that are leaders in diversity and foster an inclusive environment,? he concludes. ?The less you understand, the more you fear. ?